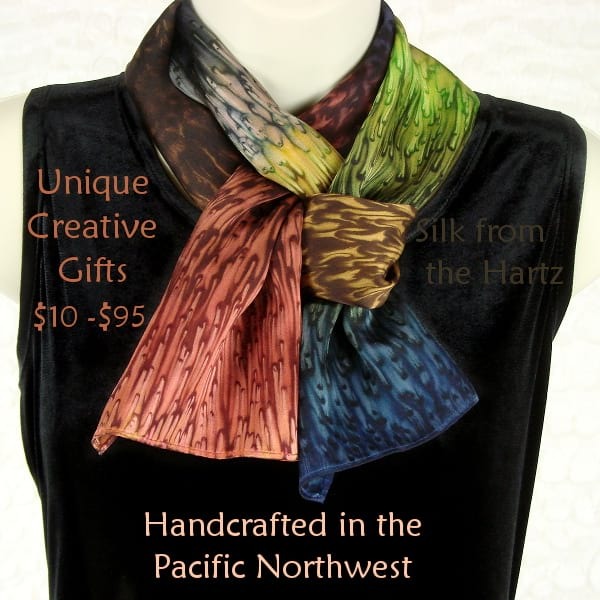 Wear a Work of Art! 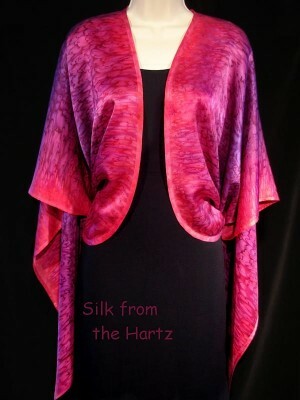 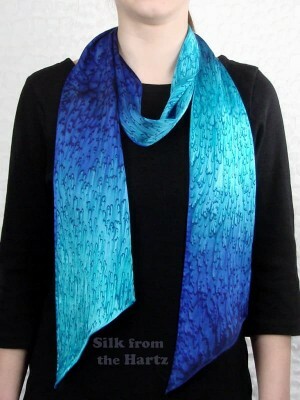 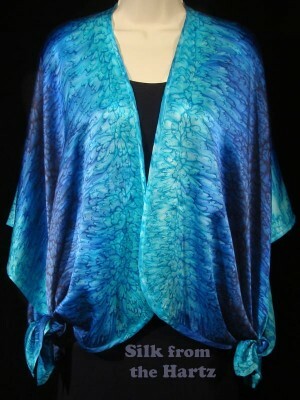 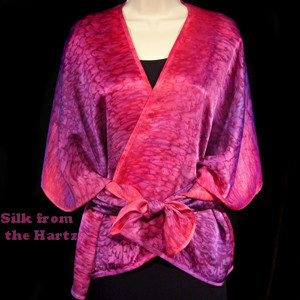 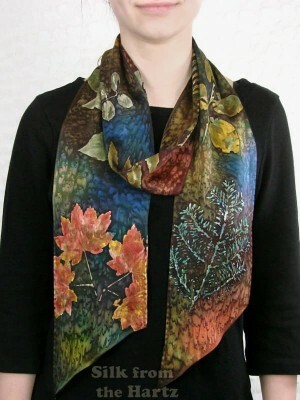 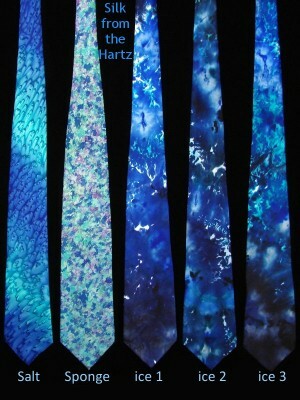 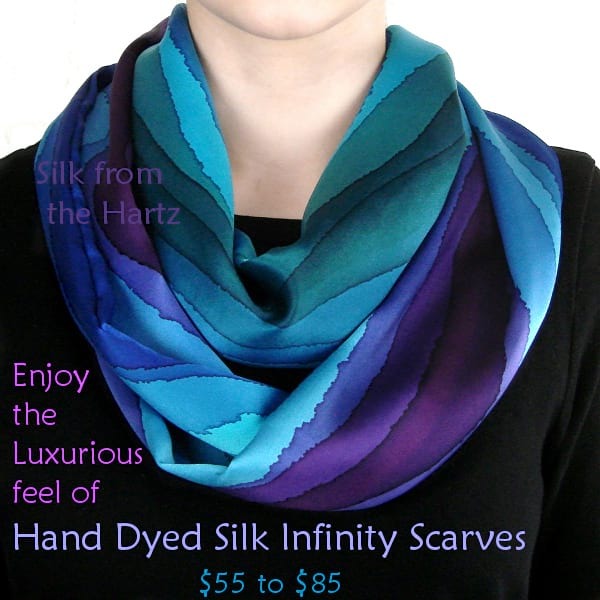 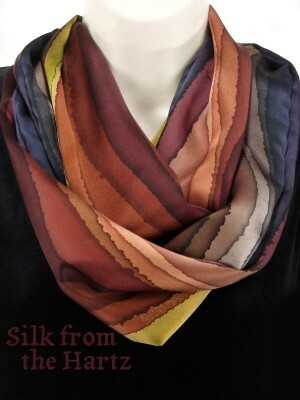 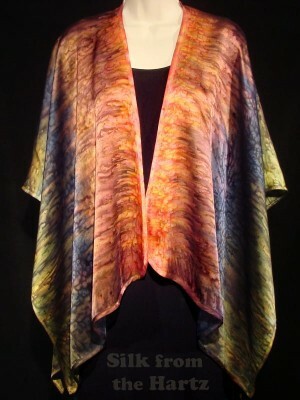 Treat yourself or someone you love to soft beautiful silk, hand dyed in elegant designs. 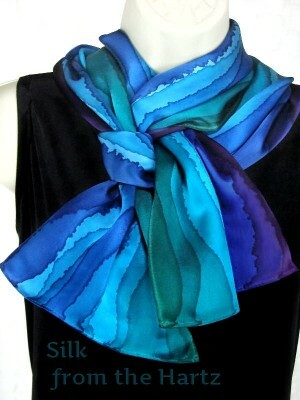 A handcrafted artisan gift of silk is a classy and unique gift they will cherish. 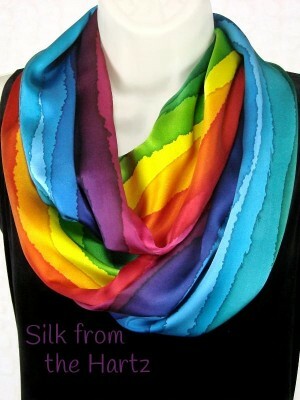 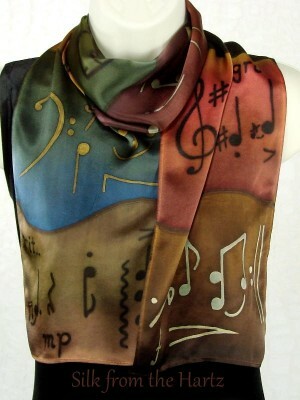 We often hear how much someone loved the silk scarf they received! 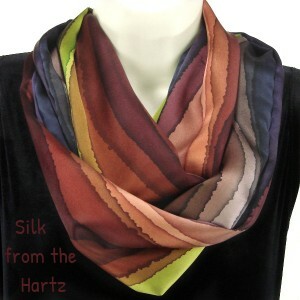 Click a Category & use the Filter to sort by color, design, price, or size. 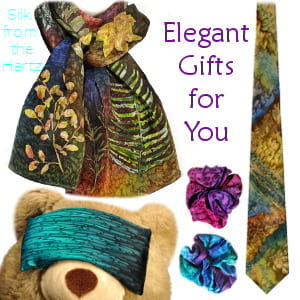 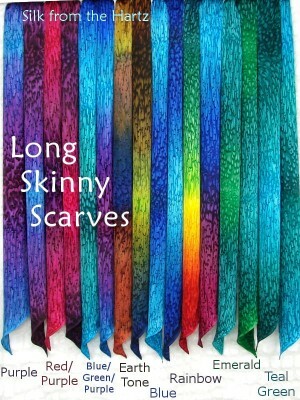 See time lapse dyeing music scarves (with guitar music), painting orchids and roses on black ties, how to tie a scarf using magnets, how to tie a wrap, plus bears eating pears, organic vegetable gardening, and more! 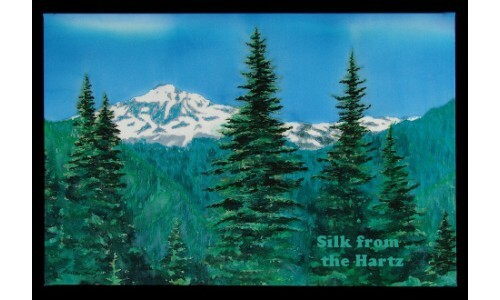 Please subscribe and click on the bell to be notified when we upload a new video. 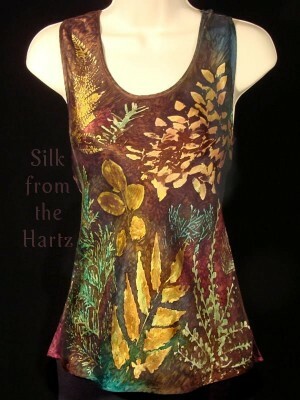 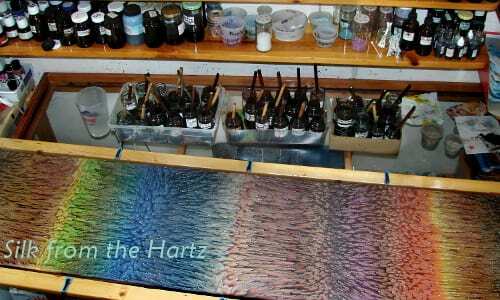 Each item is hand dyed using original techniques by silk artist Warren Hartz. 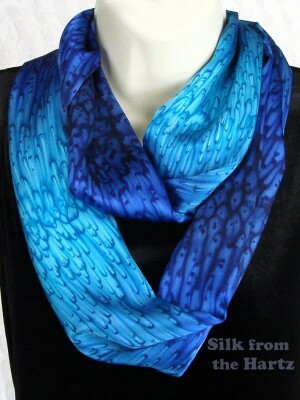 Items in stock will be mailed in 1 to 2 days. 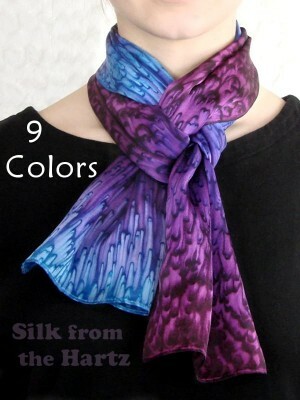 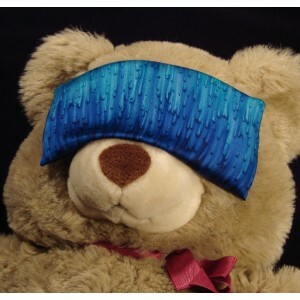 If out of stock I can usually dye it within 1-2 weeks. 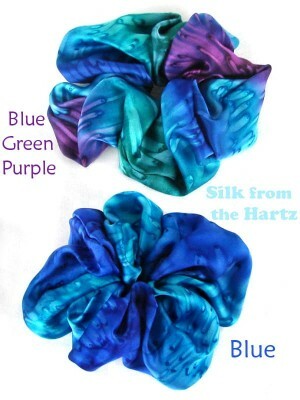 Tell us if you need it by a certain date. 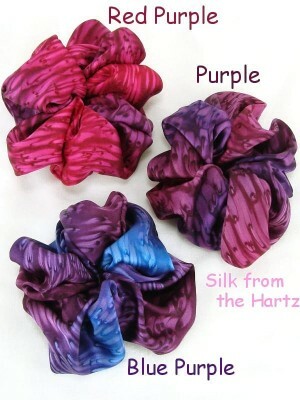 Shipping is $4 in the US for any size order. 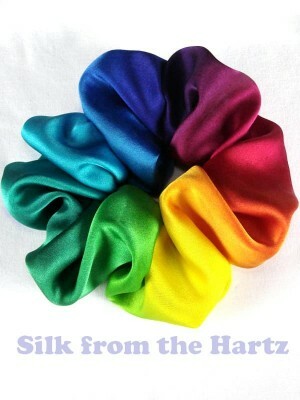 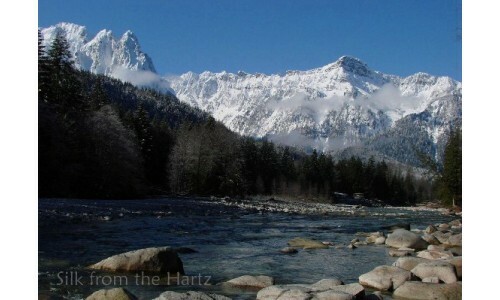 Feel free to e-mail or call us if you have questions, or for custom designs or colors. 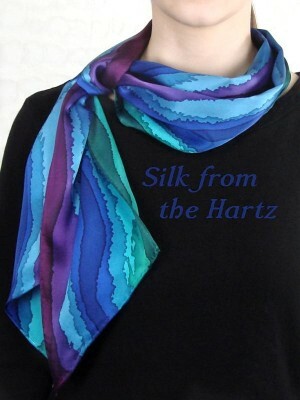 Elegant Jewel Tone Silk Scarves Unique hand painted stripe design in beautiful jewel tones of blu.. 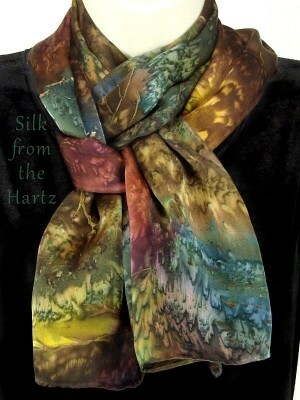 Nature Gift Shop Earth tone 6' long silk scarf hand printed using real leaves and dyed with many col..
Soft, Beautiful Hand Dyed Silk Raspberry Red to Purple and Periwinkle Blue, silk is a translucent fi..
Luxurious Silk Satin Shawl Great for a cruise, business, or wedding attire, or as a shoulder cover u.. 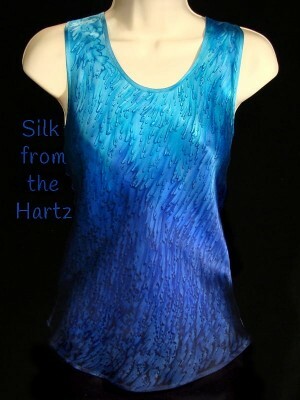 Elegant Women's Silk Cami Enjoy the softness of these comfy silk satin camisoles for women. 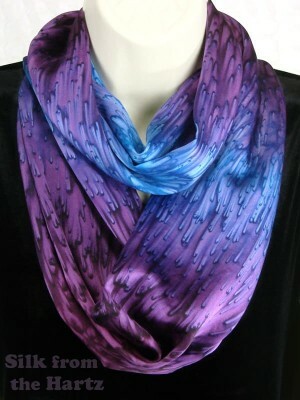 A beauti..
Fun Raspberry Purple Ombre Scarf Hand dyed on wonderfully soft silk satin by sprinkling salt on wet ..
Handcrafted Pacific Northwest Gift Each tie individually hand painted with dyes by Pacific Northwest..
Brown, Jewel Tone, or Rainbow Colors Hand painted by the artist in a unique and elegant stripe desig..
Herbal Aromatherapy Eye Pillow Best for sleep, yoga or massage, filled with flax seed and dried lave.. 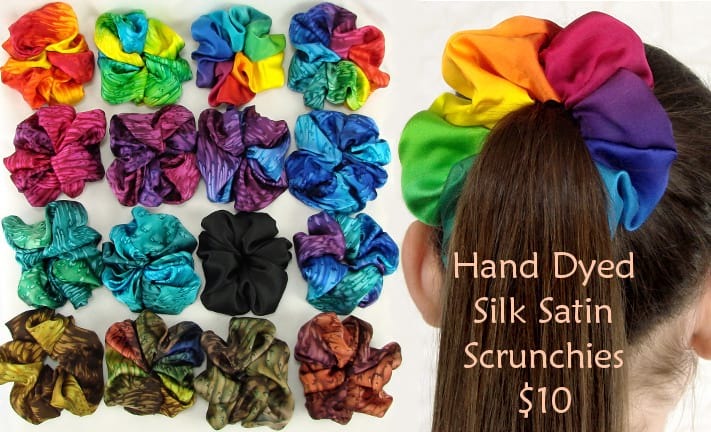 Unique Handcrafted Ombre Design Created by blending silk dyes together with sumi brushes and sprinkl..
Adjustable Satin Hair Scrunchies Our large colorful satin scrunchies have adjustable elastic insid.. 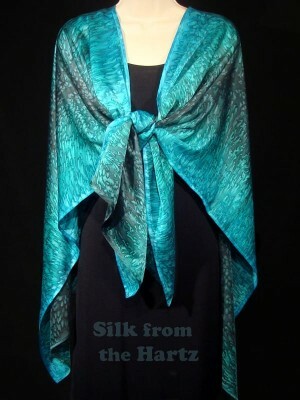 Elegant Fall Fashion Shawl In warm fall colors of peach, browns, denim and olive delightfully hand d..
Music Themed Gifts Enjoy unique musical theme gifts of luxuriously soft silk satin, with these elega..
Turquoise, Royal, Navy Ombre Design Enjoy the rich beautiful turquoise, royal and navy blues in this..
Fall Fashion Colors 11" x 60" Autumn color silk scarf design created from natural stone patterns see..
Classy Silk Satin Shell Wonderfully soft, comfy to wear, cut on the bias for nice drape and fit, cla.. 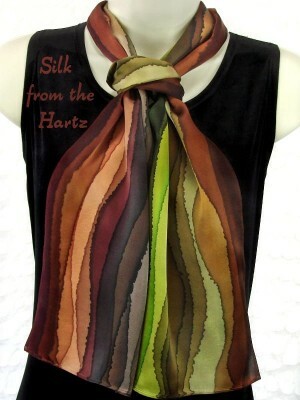 Colorful Hand Painted Silk Circle Scarf Beautiful colors of the rainbow hand painted in creative s..
Universal Green Color Goes with multiple outfits, and can be tied many ways, from an elegant shoulde.. 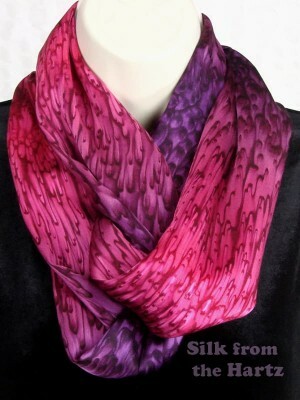 Lavender Plum Cowl Neck Professional looking silk satin infinity scarf in rich lavender and plum pur..
Hand Printed Leaf Design Look stunningly beautiful in this hand dyed silk satin tank top. 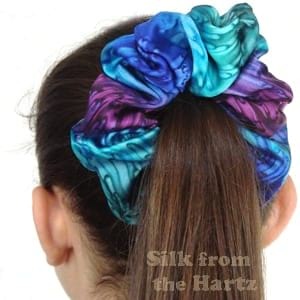 Leaf patte..
Creative Fashion for Women Add a splash of color to your wardrobe with beautiful, lusciously soft si..
Beautiful Colors for your Hair! 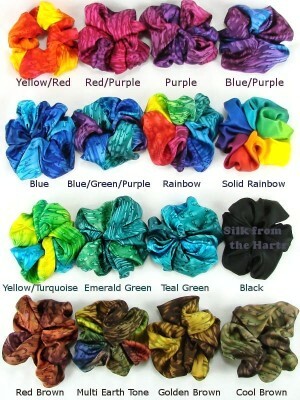 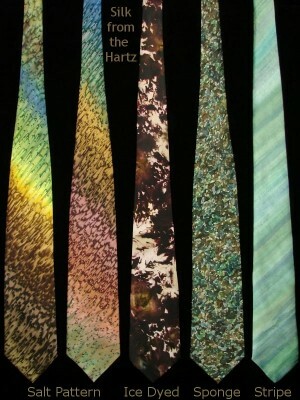 Brighten up your hair with beautiful rainbow color accessories! 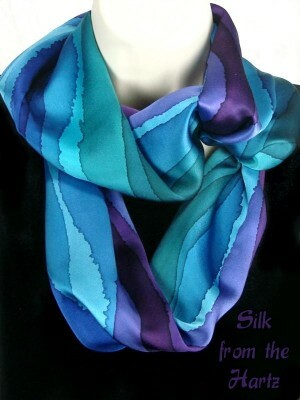 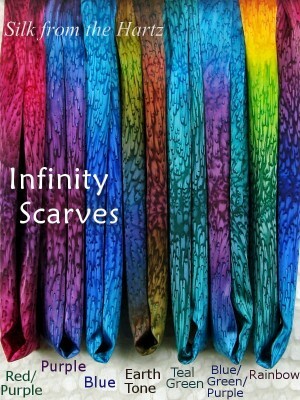 ..
Blue Green Purple Silk Infinity Scarves Our striped infinity scarf is an awesomely beautiful accesso.. 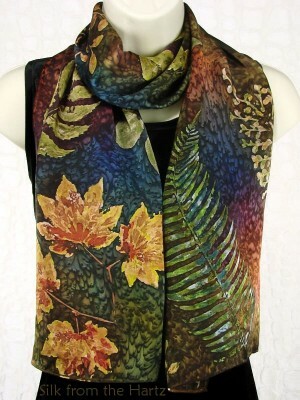 Autumn Leaves Silk Fashion Awesome botanical leaf print fall scarves made with real ferns, bra..
Creative, Cool Gift Idea for Girls Soft silk scrunchies creatively hand dyed in beautiful royal blue..
Savor the Softness, Easy to Wear Either simply wrapped around or twisted once or twice, infinity sca..
Just Because I Love You Gifts for Her Hand dyed in beautiful earth tone browns and greens, rainbow c.. 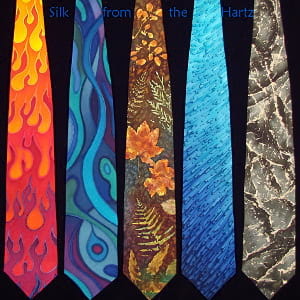 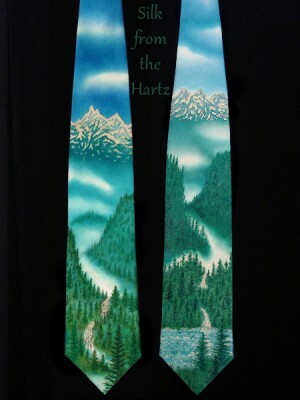 Unique Hand Painted Designs Creative neutral earth tone silk ties in browns and greens that go with ..
Eternity Fashion for Women: Delight in the rich royal blue, navy and turquoise colors hand dyed on t.. 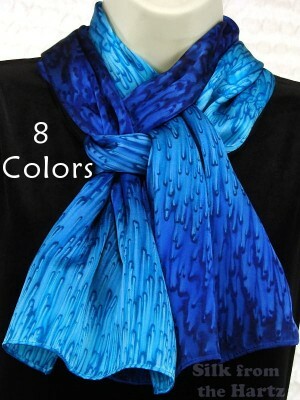 Bright Rich Colors Stand out in classic elegance with artistic hand dyed silk satin wrap, for travel..
Fall Fashion Women's Infinity Scarves Hand dyed in exquisite earth tone colors, savor this beautiful..
Turquoise, Navy and Royal Blue Hand dyed by Warren, the artist, using original techniques and desig..
5" x 72" Narrow Silk Satin Scarf This extra long skinny scarf can be worn many ways, around th..